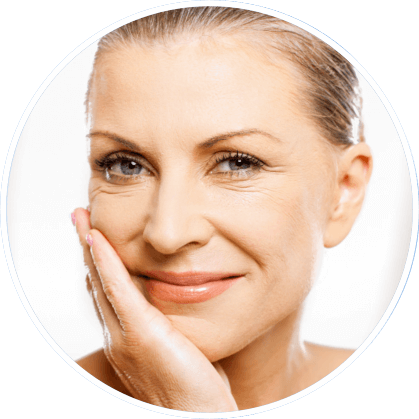 Aging takes a toll on the entire body–particularly the skin, leaving unwanted fine lines and wrinkles. Some of the most prominent problem areas are around your lips (smile lines) and nose (nasolabial folds). Juvederm Ultra and Juvederm Ultra Plus can be used to replace fullness and volume to these areas by smoothing out moderate to severe wrinkles. These are injected into the mid to deep dermis to help create natural more youthful skin. These injections are made up of hyaluronic acid gel that mimics what is naturally found in your body and helps to hydrate your skin. Patients typically notice improvements immediately with complete results lasting up to one full year. Juvederm is the first hyaluronic acid dermal filler that has been approved by the FDA for all skin types. Juvederm is a great way to replenish natural volume with little to no down time. Patients can expect mild side effects to include temporary redness, pain, firmness, and swelling to the injection site. What can I expect during my treatment? Currently there are two options available. The first is Juvederm Ultra, which is used to provide contour and volume to facial wrinkles and folds. Juvederm Ultra Plus is made up of a thicker formula that is used to correct deeper folds and wrinkles. Topical numbing cream may be used before the treatment to help minimize discomfort. Both formulations are administered through a slow and smooth injection. This allows your provider control and individualization for your specific needs. Currently the areas that see the most improvement are in the nasolabial folds, smile lines, vertical lines, and marionette lines. It can also be used to enhance and add volume to the lips. The treatment is relatively quick and you can expect to see immediate improvements.